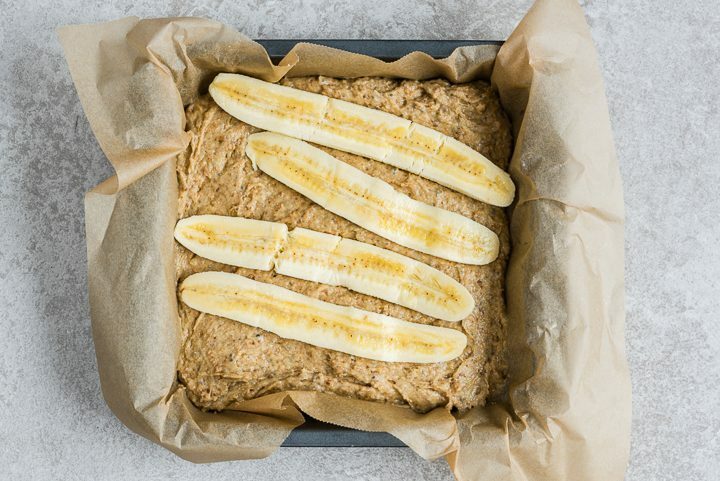 This delicious banana cake is packed with fruit and fibre! 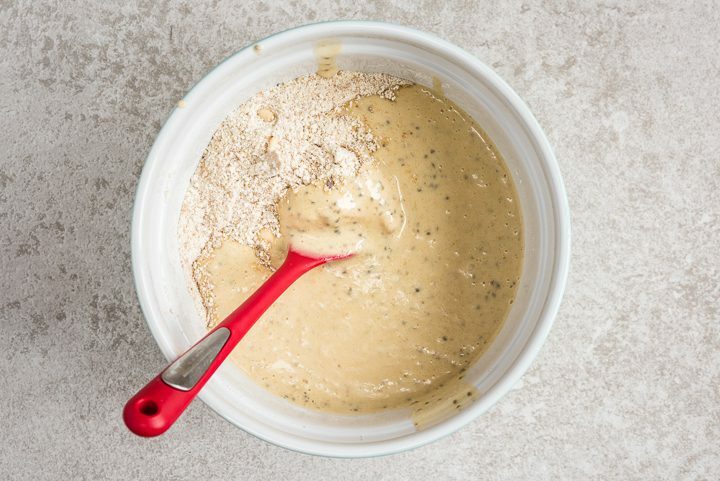 It makes an excellent breakfast cake drizzled with a little honey, or toasted and spread with nut butter. 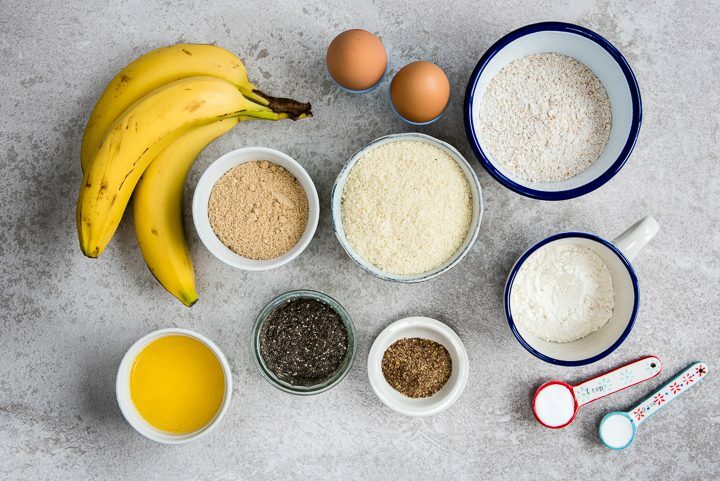 Now you can have your cake and eat it: if you cut this into 10 slices there’s around 3.5g of fibre per slice, which fits the definition for a high-fibre food! Gather your ingredients; preheat the oven to 180C and line a 20cm (8in) square tin with baking paper. 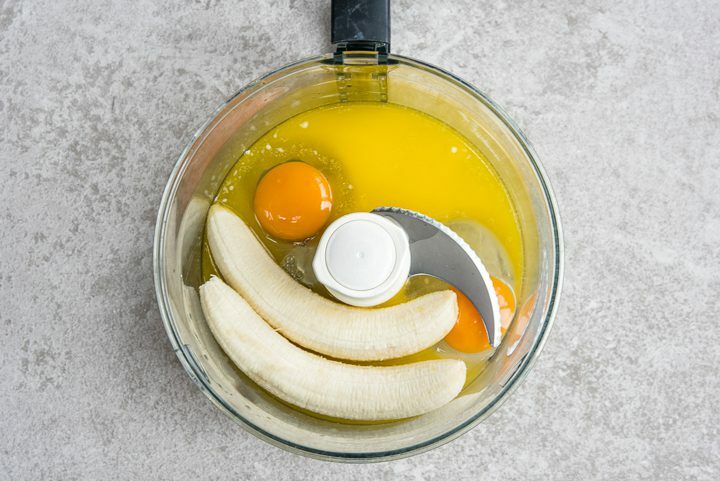 Place two of the bananas, the eggs and melted butter (or oil) in a food processor, mini chopper or blender. Pulse until you have a smooth, thick mixture. 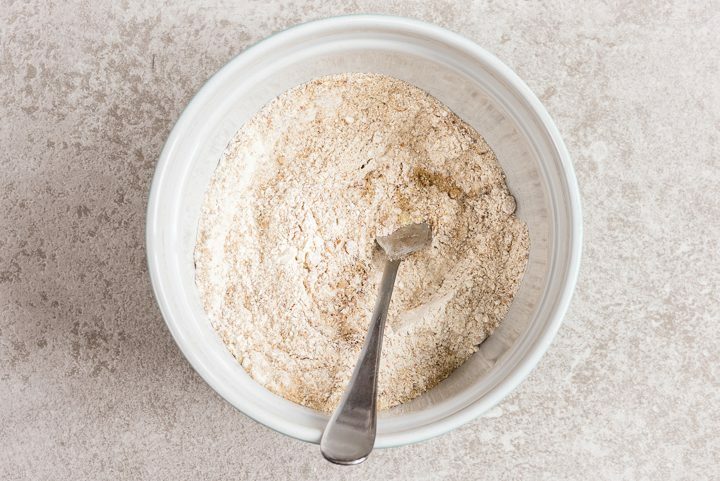 Place the flour, ground almonds, sugar, flaxseed, baking powder and soda a large bowl then mix together with a fork. 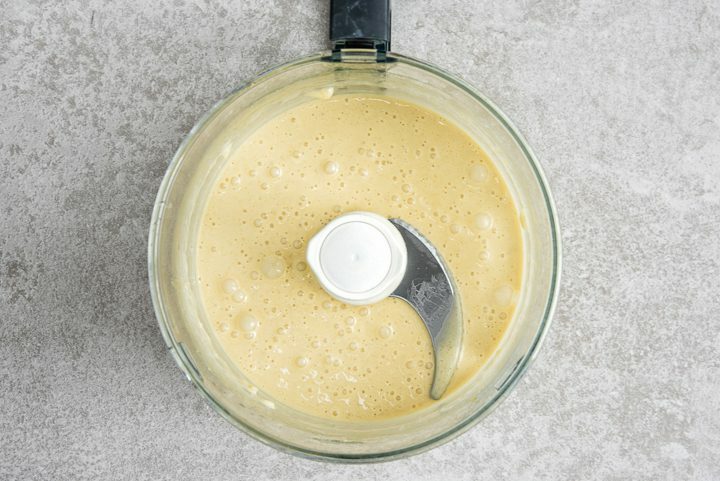 Add the banana mixture and fold together with a spatula until you have a smooth batter. Make sure you scrape against the bottom and sides of the bowl to incorporate all the ingredients. 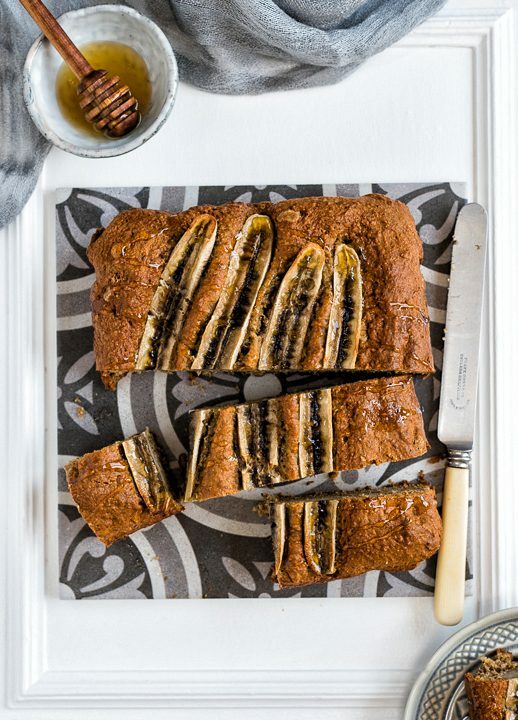 Pour the batter in the prepared tin and place the sliced bananas on top. Bake for 45-50 minutes or until a skewer inserted in the centre comes out clean. 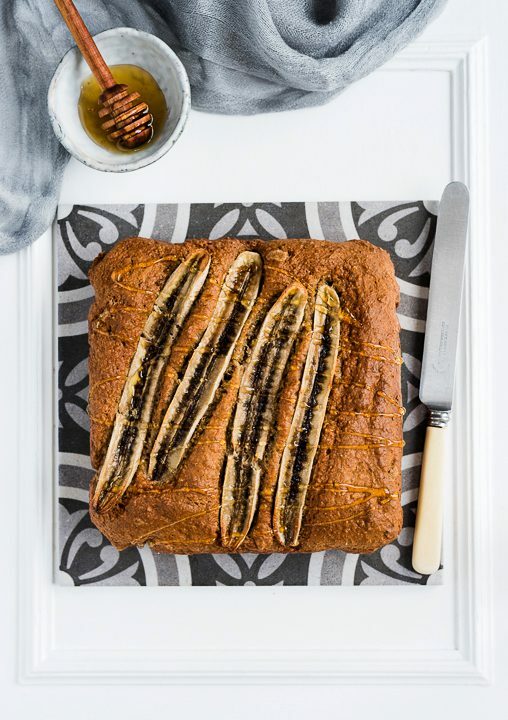 Let the cake cool and drizzle with a little honey before slicing and serving. The cake will last for a couple of days stored in an airtight container.